Dr. Corey Berlin is board-certified in Internal Medicine and Endocrinology as well as Diabetes and Metabolism. He has been practicing full-time for more than 10 years at Raleigh Endocrine Associates. Dr Berlin always takes his time and listens to me. It's not just about the charts and numbers. I wish all my doctors were like him. He's a dying breed for sure! Dr. Berlin was very easy to speak with and seems like he wants to see me succeed in my diabetes journey. He was very thorough when explaining his medical plan he has for me. I look forward to working with him. He is excellent, thorough and friendly! time is not important to this Dr. wait is sometimes 1 hr. or more. Highly recommend Dr. Berlin. He considers the whole patient and has a great bedside manner. Very compassionate and friendly. This is very unlike of too many doctors! A highly skilled professional with a positive attitude, charm and compassion. Dr. Berlin is well worth a visit. Dr. Corey Berlin completed his undergraduate studies at the State University of New York and earned his medical degree from Hahnemann University in Philadelphia, PA. He is board-certified in internal medicine and endocrinology, as well as diabetes and metabolism. 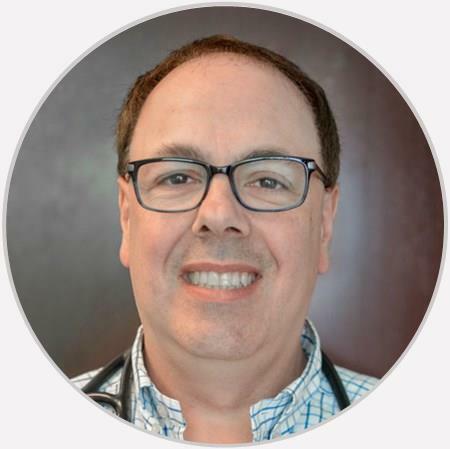 Dr. Berlin’s training includes residency in Internal Medicine at The University of Connecticut and fellowship in the Endocrine Division at The University of North Carolina School of Medicine. In addition to practicing full-time for more than 10 years at Raleigh Endocrine Associates, Dr. Berlin has served as the President of the Wake County Medical Society, as a board member for Wake County Human Services, and is a member of numerous professional organizations. Dr. Berlin is also the busy father of four children and the family dog, Bogsley, a wine enthusiast and an avid poker player.